Avanci’s marketplace offers IoT companies a single license to standard-essential patents owned by industry-leading technology innovators – including Ericsson, Qualcomm, InterDigital, KPN and ZTE. 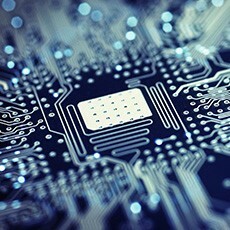 Transparent and flat-rate prices respond to IoT manufacturers’ requests for simplified licensing for connected products. Today, Avanci launches the first marketplace for licensing patented wireless technology to the Internet of Things (IoT). Avanci is bringing together standard-essential wireless patents from industry leaders, making them available with a single license to IoT device manufacturers who are adding connectivity to their products. With billions of connected devices coming online each year, the Internet of Things is enabling an entirely new economy of products. For the many manufacturers entering the IoT space, it can be cumbersome to determine which patent licenses are needed to enable connectivity and what is a fair price. Avanci streamlines this process by offering a single license to patents owned by many companies on fair, reasonable, and non-discriminatory (FRAND) terms. Companies can expect a transparent, flat-rate price for each device that will vary based on the value the technology brings to the device. “Since we began in April, we have received an overwhelmingly positive response from both IoT device manufacturers and patent owners to our streamlined licensing solution, and Avanci will quickly add more of these companies to our marketplace in the months ahead,” said Kasim Alfalahi, founder and chief executive officer of Avanci. This new, open platform accelerates the process of securing technology rights and time to market for IoT devices that are connecting our world like never before. Companies seeking to add connectivity to their new products and companies with a portfolio of standard-essential wireless patents to share can join the new marketplace. Avanci will initially focus its licensing efforts on 2G, 3G and 4G cellular technologies for connected cars and smart meters with plans to quickly expand to other IoT product areas. The Avanci license for the IoT industry provides access to the entire standard-essential cellular patent portfolio these innovators, including Ericsson, Qualcomm, InterDigital, KPN and ZTE, own today, as well as any such patents that they may develop or acquire during the term of the license.